We work with clients to implement the effective use of QR codes, NFC and Augmented Reality (AR) to provide mobile web links to offers, information, map trails, social media, booking and payments. We also provide mobile scanning, mobile app and map solutions for users at sports or live events. We approached the South Downs National Park team to gauge their interest in running a trial on the use of QR codes and to research in detail the opportunities they offered to improve local interpretation. 100 QR codes were sited along the South Downs highlighting multiple visitor points of interest. Each QR code linked to a mobile web page that gave details of local history, buildings, wildlife and events and included pictures, games and links to other content. 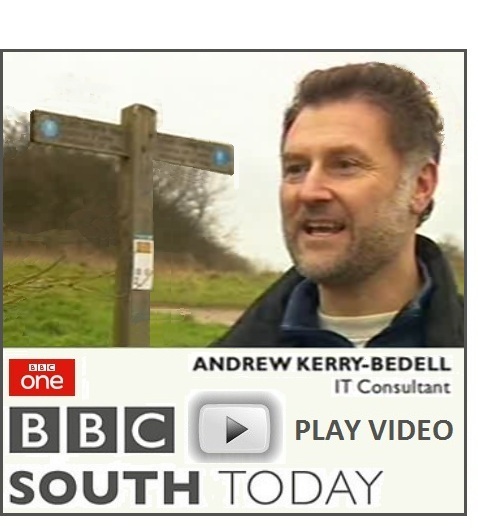 Website pages also included South Downs audio content and videos via a YouTube channel. Contact Mobi-Scan to find out how mobile scanning could help your brand or event. Since June 2012, South Downs National Trail visitors have been able to scan QR Codes at multiple points of interest all along the Trail. Visitors use their mobile camera, a QR Code reader App and mobile web browser to scan each QR Code and connect to a wide range of concise online content including text, pictures, audio, video, Google maps and online games. NFC Tags and Augmented Reality scanning information was also added in December 2012. Visitors scan signs using a QR code Reader, AR or NFC Tag reader App, all FREE to download from iTunes, Google Play or mobile App stores.